Chinese courts have recently experienced an upsurge in the number of employment disputes brought to court, partially due to the economic downturn and the enactment of the new Employment Contract Law in 2008. 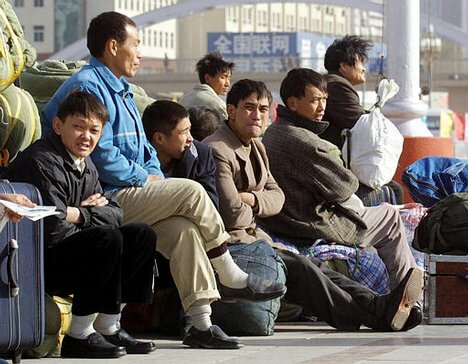 Statistics from the Supreme People’s Court showed that nationwide courts handled 295,000 labor disputes in 2008 – a severe year on year increase of 95%. Since the recession, it has been observed that a significant number of firms have not been able to meet employee demands for higher wages and have failed to meet their legitimate expectations. In addition, a greater awareness of the rights conferred under the new law has strengthened the remedies and safeguards afforded to these workers. Furthermore, the new law also grants workers easy access to the courts system if they feel as though they have been unfairly treated by their employers. Earlier in February this year, the Guangzhou Intermediate People’s Court issued a white paper addressing this drastic increase; in fact, employment disputes brought before the court since 2007 has more than doubled in 2010 when 11,630 cases were brought (unfortunately this figure excludes arbitration cases). In China, it is mandatory for employees to bring disputes to a court of arbitration at first instance so these figures could be drastically different if the number of arbitration cases were factored in. Furthermore, the number of employment cases as a percentage of all cases stands at 14.6%, with a series of claims brought on various issues such as unpaid wages, compensation upon termination and overtime payments. A large focus of the white paper was on collective employment claims, brought by at least three employees against their employer. Such claims threaten social stability because of their destructive nature within the workforce and as such are an important concern for the government. Furthermore, a joint claim is more likely to achieve higher aggregate damages as news of the claim within the workforce may attract more employees to join the suit.